Forsythia Nimbus Yellow is a compact and upright bushy shrub, that actively blooms large yellow flowers in the late winter and early spring season. These flowers bloom so profusely that their presence can create a vibrant and radiant show of light, unseen in any common garden landscapes. Forsythia flowers mark the start of spring season. These bushy plants adapt to a wide range of growing habitats. They are known for being tolerant to urban pollution. 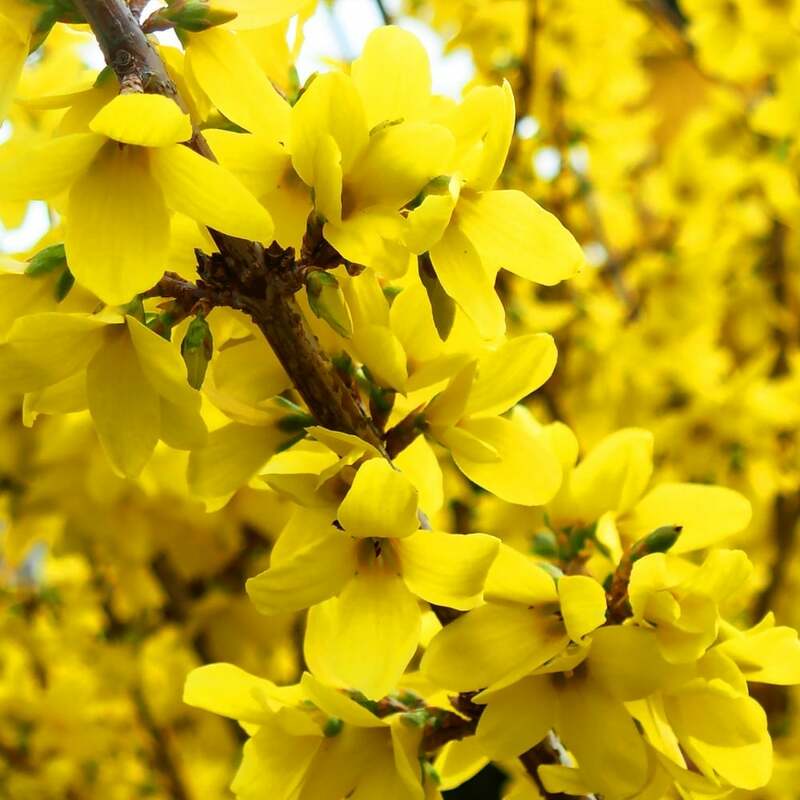 Since Forsythia Nimbus Yellow is medium-sized shrub, it is suitable for planting in small space city gardens. Its rich yellow energetic flowers bloom before its ovate, toothed green leaves show up. Forsythia plant will thrive in full sunlight or dappled shade, planted in a moist well-drained soil. Add a balanced fertilizer feed annually until it establishes. Once matured, it does not require much maintenance. It is most suitable for gardens with limited space. One can also grow Forsythia plant in garden containers where slight pruning will be required to keep it shape neat. Use it to create a brilliant miniature hedging or simply plant it as a mixed perennial. The flowers grow on previous years shoots, it is advised not to prune too hard. Forsythia Nimbus Yellow shrubs are smaller than their other larger cousins. Their spreading habit makes them look very attractive.